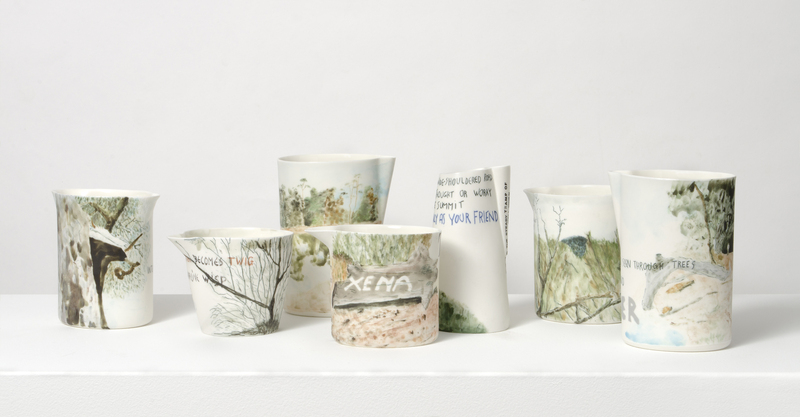 On the Mountain (poetry on hand-painted porcelain vessels) is Sarah’s collaborative work with ceramicist Patsy Hely, which was exhibited at Craft ACT in 2011. 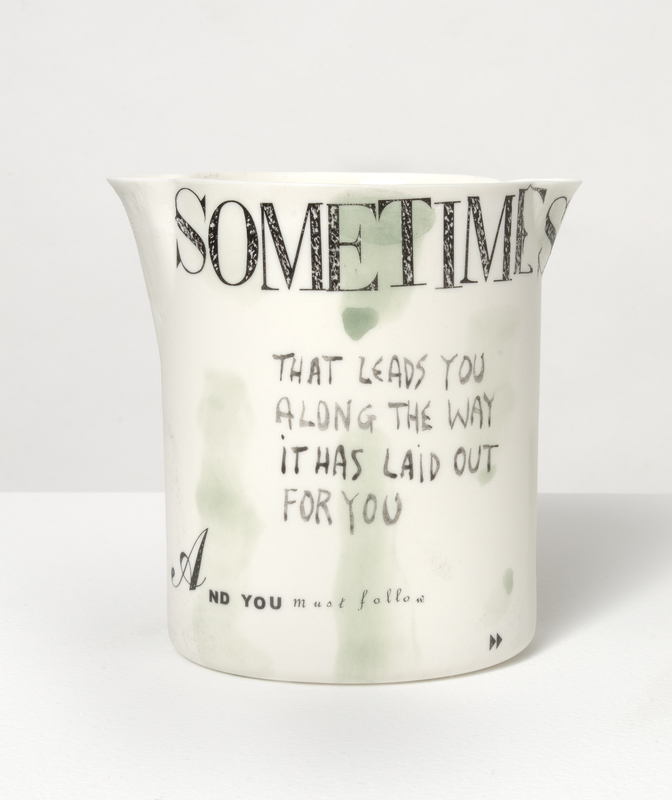 On the Mountain (poetry on hand-painted porcelain vessels). 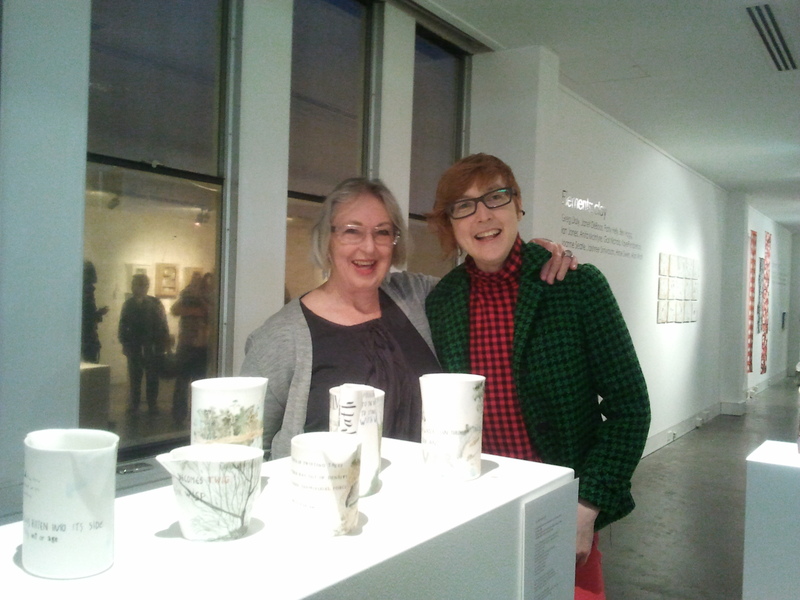 Sarah and Patsy with On the Mountain (poetry on hand-painted porcelain vessels) at Craft ACT. Tags: art, books, ceramics, culture, fiction, inspiration, life, poems, Poetry, porcelain, publications, writing. Bookmark the permalink. LOVE this imagery and language! You’re quite talented. Sarah is the Poet of the Month for May and she is quite talented, both as a poet and an artist. Ah I see! Well you’re talented for acknowledging her talent as well 😉 Thanks for sharing.